Indie Retro News: Quasarius - The Amiga gets a very Arcade like shoot em up! 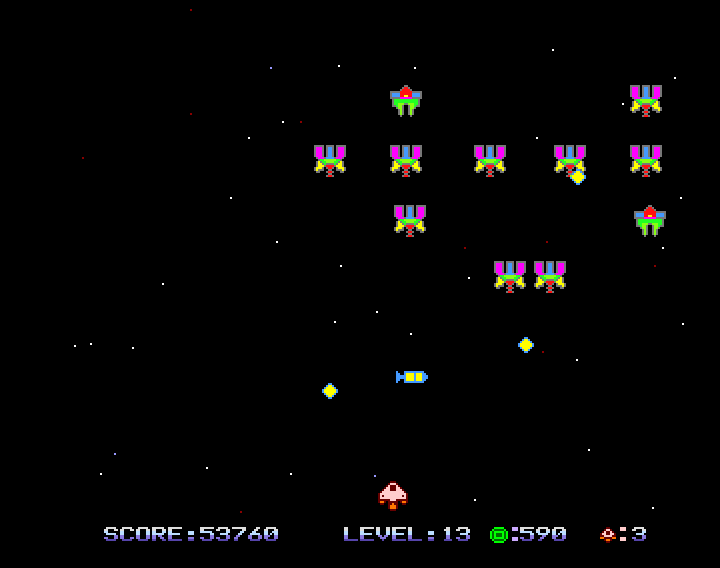 Quasarius - The Amiga gets a very Arcade like shoot em up! Well this took us completely by surprise as usually we keep an eye on games in development, but thanks to a heads up by Per-Ola Erikisson we've just learnt of the release of Raliza Software's Amiga shoot em up ' Quasarius ', which was actually developed by Rafael Lima, music by Akira^G*P and with help of the EAB forums. In regards to the gameplay, this game is very similar to games such as Galaga in which you need to destroy enemy waves, although your ship can move in many directions and take on BIG bosses!